In 2018, both the Queensland and New South Wales Governments made big announcements regarding the future of digital engineering in their respective regions. Transport for New South Wales (TfNSW) launched its Digital Engineering Framework Program – a unified approach to digital engineering that aims to empower data-driven decisions throughout the organisation. The Queensland Government, likewise, announced the introduction of its Digital Enablement for Queensland Infrastructure – Principles for BIM Implementation policy, documentation that aims to bring building information modelling (BIM) to the forefront in the state’s infrastructure projects. 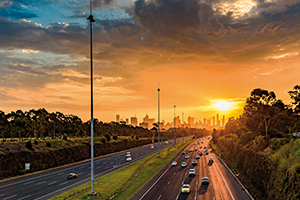 Now, the Victorian Government is the latest to announce its grand plans for the future of digital engineering in the infrastructure sector, releasing its Victorian Digital Asset Strategy (VDAS) Strategic Framework this January. The strategy, developed under the leadership of Victoria’s Chief Engineer Dr. Collette Burke and the Office of Projects Victoria (OPV), seeks to guide the state on the creation, delivery and enhancement of digital assets that can inform the delivery and whole-life management of physical assets across Victoria. The framework is the first step in further developing the strategy and digital engineering industry in Victoria. It aims to provide an overarching direction to government, industry and the public on the value of digital engineering – providing a common and consistent approach for the application of digital engineering principles and practices, such as BIM, to new and planned infrastructure assets. This includes coordination and consistency across the board when it comes to data, information, assets and decisions across the physical asset’s lifecycle, from planning, creation, operation, decommissioning and even divestment. Applying to a range of stakeholders across the delivery and operation of infrastructure assets, the VDAS framework outlines a range of steps and short- and long-term goals to enhance the development of digital engineering processes in the state. This includes the introduction of VDAS guidance documents and technical guides, which will be delivered incrementally throughout 2019, and a competency framework and education map in the lead-up to wider implementation across the state. 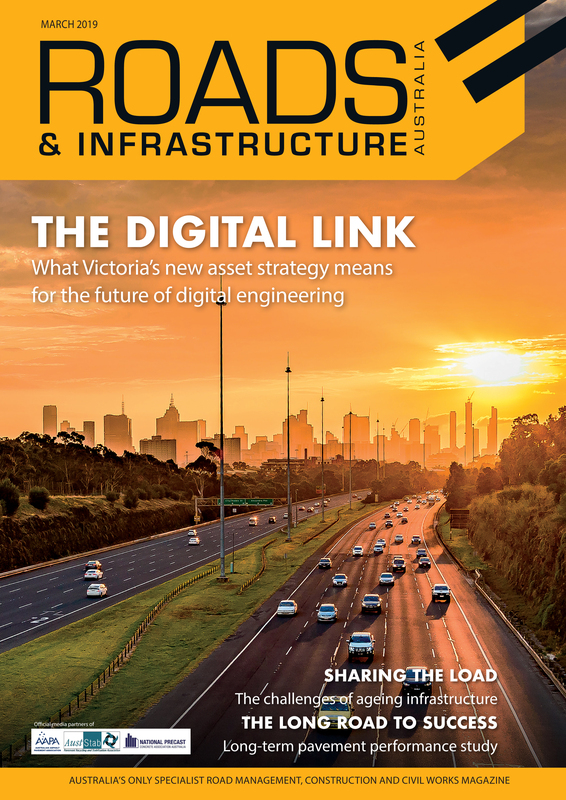 Signalling a new turning point for digital engineering in Victoria, Roads & Infrastructure Magazine talks to Dr. Burke about the strategy, its development and where digital engineering is taking the Australian infrastructure sector in the future. Dr. Burke says there has been a momentum shift within the industry towards the establishment of these formalised digital engineering frameworks and strategies, but it’s been an ongoing process for a number of years. Much of the construction and infrastructure sector is utilising digital engineering processes, such as BIM, in pockets and it’s technology that has been used across Australia and around the world for some time now. “Transport for New South Wales, for instance, has been solidly progressing on this for the past few years and reached a really good point. However, the real turning point here is that the technology is now proved – it’s in use out there,” she explains. The use of LiDAR scanning and even photogrammetry for use with conjunction with 3D models has come along way in availability and application, for instance. The next step for the technology is developing the ability to try and link other data sources. This could be linking together different data sets, such as cost systems, risk registers and asset management systems, for instance. “The 3D BIM model will be one part of that and it’s about how you’re linking in other systems you’ve already got – how do you actually tap into that data and integrate it?,” Dr. Burke asks. “If you can take a 3D model and link cost data, asset management data, I think that’s a real turning point for digital engineering,” she says. “There’s been a lot of talk about BIM in construction and the massive benefits to that in the form of clash detection, design optimisation and scenario analysis. These can lead to a visual ability to see what the project looks like and de-risk it and share that information with everyone involved – it becomes the one source of truth. With such an array of possibilities now opening up through the development of digital engineering technology and applications, the VDAS aims to help facilitate the next step of development. Dr. Burke says the development of digital engineering in the sector has typically been led by industry, with companies investing because they believe in the technology but it also gives them a competitive advantage. However, to ensure the industry as a whole is changing with the times and adopting these best practices, government needs to play a key role. “In any infrastructure asset design, 3D models are built but we just don’t use them. So it’s about trying to get better utilisation out of digital assets already there,” she says. “But there also needs to be a driver, so the government does need to lead that way and set the standards it wants on projects. If it becomes something that government is interested in then industry will respond as a whole. For the Victorian Government, Dr. Burke says VDAS is the first step, and has been developed not just with best international practice in mind, but with local knowledge at its core – all overseen by the VDAS Steering Committee (VDASSC), which informs and advises the state government on key aspects relating to digital engineering. The committee is made up of individuals representing industry bodies, government entities and major designers and educators with expertise in the field. “We did a massive piece on investigating the UK’s journey and had a couple of people on the steering committee from the UK that had been working in that environment. We we also looked at Singapore and Europe to see what best practice was there, so we’re trying to align with where digital engineering going as a whole. There’s also international standards now so we’re aligning with what that approach is and particularly looking at the work that’s being done in Australia as well,” Dr. Burke explains. Going forward, the VDASSC will play an important role in the development of the guidelines and technical guides to be release over the coming year, as well as the key elements, such as what the VDAS’ up-skilling education packages and frameworks should look like. “Some people at senior levels needs understanding of what digital engineering does and the benefits that filter down to different levels of a project,” she says. She says TfNSW had been quite advanced on its journey, with working groups around Australia that the VDASSC has also tapped into. The VDAS also serves as a precursor to further investigations the OPV is undertaking on asset utilisation, how assets are operated and maintained and how to get better use and leverage out of that asset over its lifetime. “If you optimise your assets therefore you have more available capital to build other assets, so you get better use out of what you’ve already got as well as building new infrastructure. While it might be three-year build on a project, asset life will have be from between 30, 50 and even 100 years. So, if we can look at how to optimise that infrastructure asset using data, then we can get massive benefits out of it,” Dr. Burke says. She says there is some really good digital engineering practice already taking place in Australia, especially in the services industry – mechanical, electrical, plumping industries. “Surprisingly, they’re well advanced and have been using it for many years. They’ve been great to look in that journey from planning, project delivery then right through asset management,” she says. “We want the VDAS to dovetail into the asset management systems. The state government also has the asset management accountability framework out now, so it’s looking at how we operate and maintain our assets and how this moves into those systems and existing asset management approaches. In the short- term, the OPV is already using the VDAS to look at some of the larger and new infrastructure projects starting to take off in Victoria. “Working with organisations like Rail Projects Victoria, the North East Link, what we’re tying to do, particularly with all new major projects starting, is getting them set up with their digital strategies and assisting them so they’re starting that journey. Hopefully in about two to five years we’ll start to see that used right across the board for any project,” Dr. Burke explains. The next major step for the strategy and advancing digital engineering utilisation in the state is the development of the VDAS guidance and technical guides and rollout of the Victorian digital Engineering Education Map. As for the long-term, the development and implementation of a VDAS Competency Framework aims to be a key milestone for the strategy, which ultimately revolves around the integration of many of these digital engineering technologies, which have a capability to change just how assets are designed, built and operated across Victoria. “I think we are moving towards those smart city concepts – the cities of the future. I think the big game changer is trying to create this sort of city of systems or networks. You can actually look at the entire system and how to make decisions around how people use it and how they move. I think we’re heading to that stage and the next leap will be starting to move towards autonomous vehicles, which you can’t do that unless you’ve got a system or networks,” Dr. Burke says.